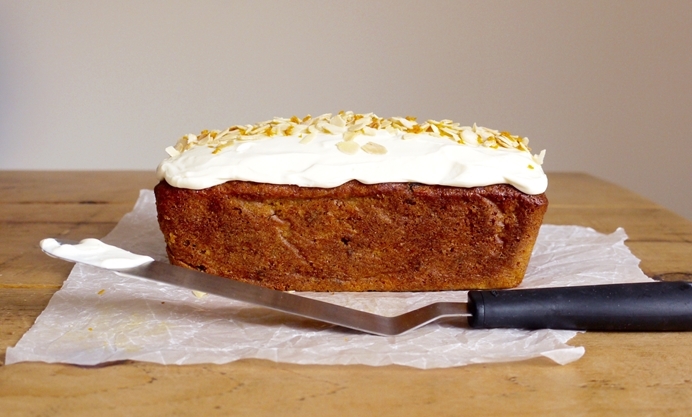 Kate Doran's glorious carrot cake recipe is laced with flavours of the traditional Simnel cake, offering a great alternative Easter cake idea. 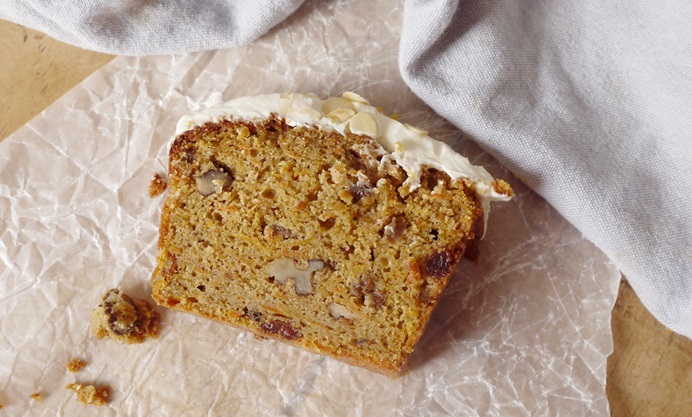 The cake is smothered in a luxurious almond cream cheese frosting for a wonderfully decadent finish. With Easter just around the corner, it’s time to turn thoughts to how to feed a crowd of family or friends over the long weekend. While Simnel cake topped with twelve marzipan balls to represent the apostles is traditional festive fare, this year I’m keeping the Easter bunny sweet (and hopefully generous with the chocolate supplies) by baking this beautifully simple carrot cake inspired by the same flavours. 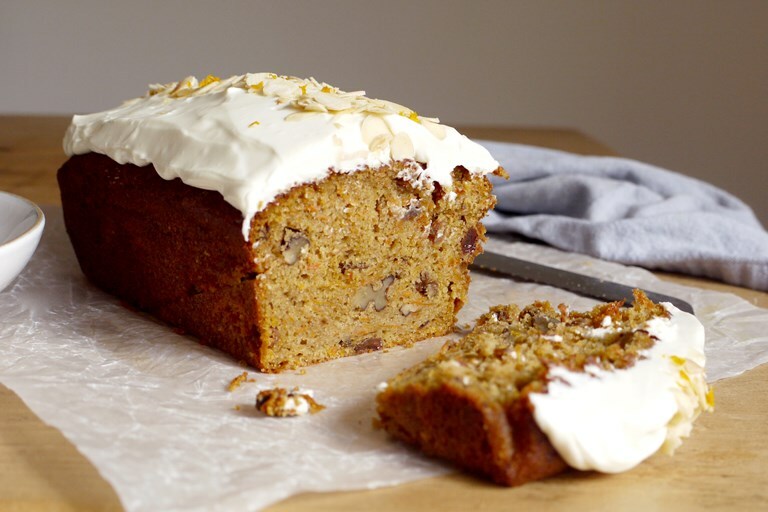 Adding orange juice-soaked sultanas and ground almonds to the batter makes this little loaf cake moist and delicious, with crunch from the walnuts and flaked almonds and a rich cream cheese icing on top. For a dairy-free version, replace the icing with sweetened whipped coconut cream or serve with a dollop of coconut yoghurt on the side.